Wild Trout Fly Fishing – both the River Boyne and the River Blackwater and their tributaries hold extensive stocks of wild brown trout and can offer some of the best Fly Fishing in Ireland. Game Angling is largely controlled by Angling Associations and by some privately owned fisheries. Anglers must obtain a permit to fish and must abide by the rules and procedures of that particular association. The River Boyne also has a run of Atlantic Salmon and Sea Trout. The best season for these runs from July to September. Course Angling – the lakes around Co Meath and neighbouring Co Cavan offer the angler an extensive stock of coarse fish to choose from. 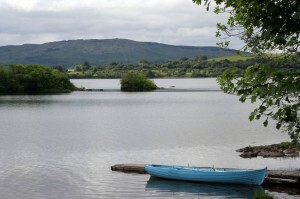 In particular, the lakes around Bailieboro and Virginia to the North-West and a number of lakes near Collinstown and Delvin hold excellent stocks of coarse fish as do the Royal and Grand canals at Enfield and Edenderry. Sea Angling – Sea anglers are provided for on the stretch of coastline from Clogherhead South to Laytown and at the mouth of the Boyne where it flows into the Irish Sea.